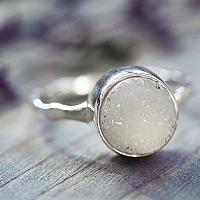 White Druzy Agate: Druzy Agate awakens self love and boosts the imagination and creativity. 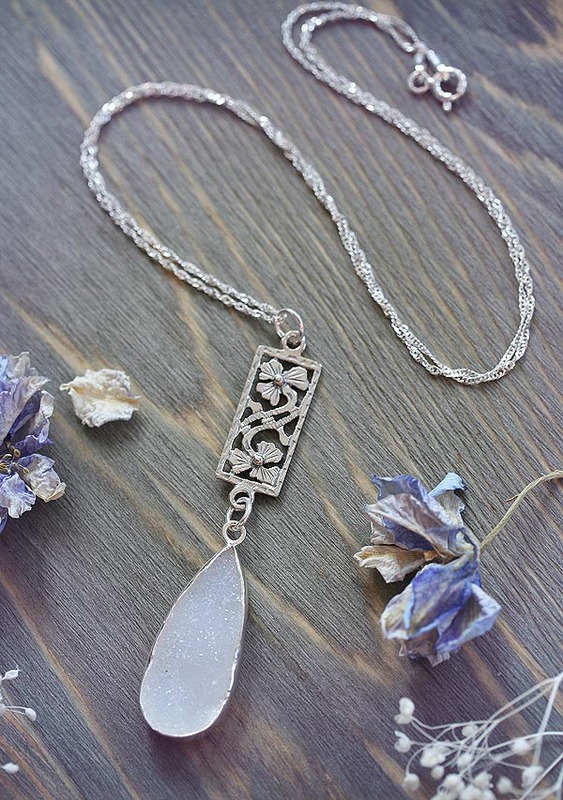 This winter-inspired and elegant necklace is the finest quality featuring all solid sterling silver components and chain with a spectacular white Druzy Agate teardrop focal that hangs from a gorgeous sterling floral rectangle connector. I'm offering three different sterling chain lengths: 18", 20" and 24". The second photo shows the piece with an 18" chain. Metal components are made of high quality sterling silver. 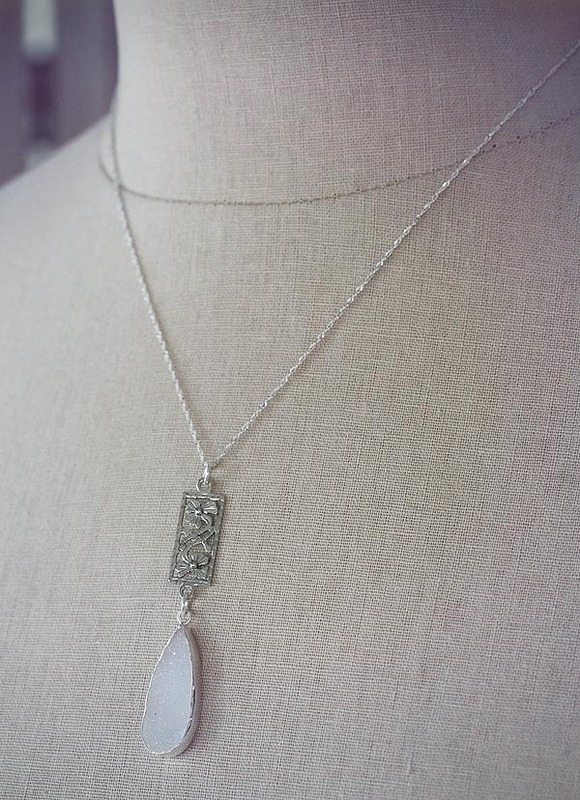 Necklace is offered at 18", 20" or 24" long (choose from drop down).